Buckeye Flat Campground is one of the 14 campgrounds within the Sequoia National Park in California. It has 28 tent campsites, which is a pretty good size for a more laid-back feel than the other sites. From the entrance, it’s only 7 miles away, which is quite a short drive. 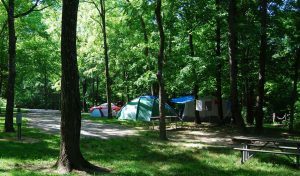 It’s a great place to camp because it is not far from many of the parks top attractions. One of the best things about Buckeye Flat Campground is that it has direct access to the Paradise Creek Trail. The trail has a distance of 5.5 miles out and back, with an elevation gain of about 1300 feet. After the hike, you can enjoy the cold waters of the creek. That is especially a treat during the summer. If you’re not camping in Buckeye Flat Campgrounds, you can still access the trail. However, since the trailhead does not have day use parking, you will have to access it via the Hospital Rock picnic area. That adds a little over a mile to your round trip distance. The trail is abundant in Sequoias and other kinds of plants. It offers an excellent introduction to the Sierra Nevada’s biodiversity. During certain parts of the year, the trail has a beautiful array of wildflowers. You’ll find yourself stopping a few times to take photos or to enjoy the beauty. About 5 minutes from the Buckeye Flat Campground is the Middle Fork Trail. However, when it is unavailable during the winter, you will need to access it via Hospital Rock Picnic Area. From there, the walk to the trailhead is less than 2 miles. 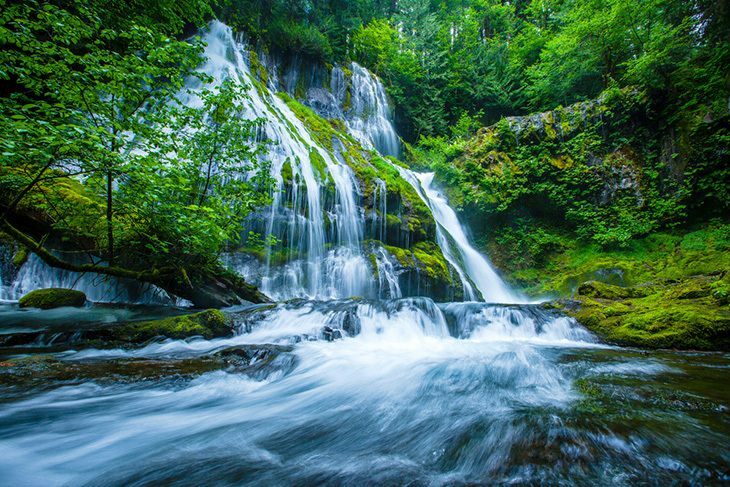 One of the highlights of the trail is Panther Creek Falls. You can also go fishing at the Middle Fork of the Kaweah River, but this requires a little bit of bushwhacking. There are also lots of wildflowers in spring. If you want to go further, you can go to Redwood Meadow and Bearpaw Meadow, but that is over 13 miles of hiking. 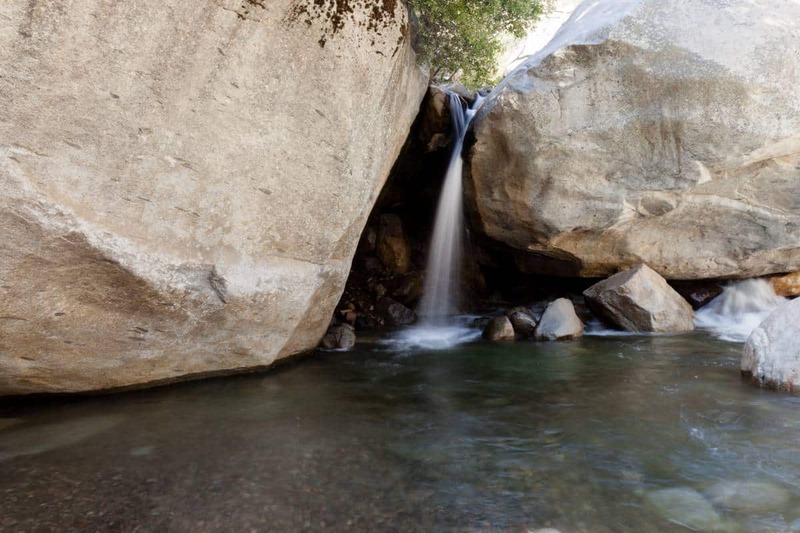 Marble Falls is another nearby attraction to Buckeye Flat Campground. It’s less than a 15-minute drive from the campground to the trailhead in Potwisha Campground. The downside is, there is insufficient parking near the trailhead. It is ideal that you camp at Potwisha, but not necessary. Overall, however, the hike makes up for the hassle. Marble Falls is quite a reward after hiking about 4 miles. It’s an out and back kind of trail, so it’s around 8 miles in total. Though you can’t see the river from the path, it does give great views of the Kaweah River Canyon, and the trail is full of beautiful wildflowers during spring. Last but probably not the least, is the Giant Forest. 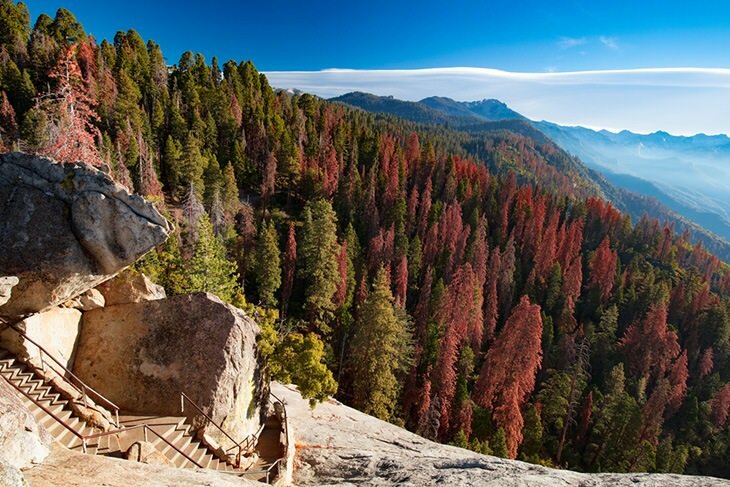 After all, that is what makes most of the Sequoia National Park. You can spend hours just exploring the park, and it will remind you of how tiny you are with all the giant trees. You can also go to the Giant Forest Museum before you start your tour of the forest. It will give you an excellent introduction to the park and to learn more about the trees. 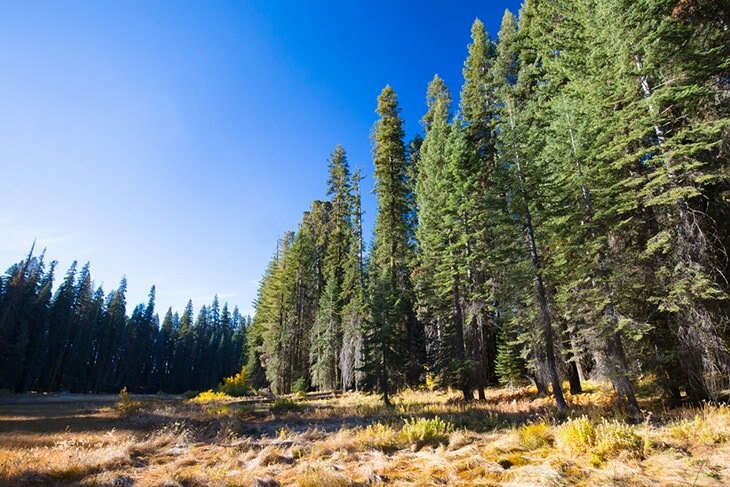 The Giant Forest and the Museum are less than 40 minutes away from Buckeye Flat Campgrounds. Then, you can choose from a lot of trails. If you have a hard time selecting one, you can always ask from the rangers. 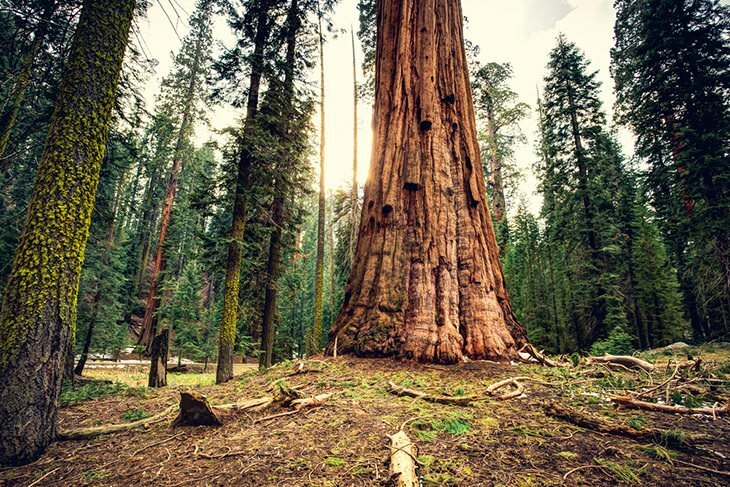 One of the Sequoia National Park’s most famous attractions is General Sherman Tree. 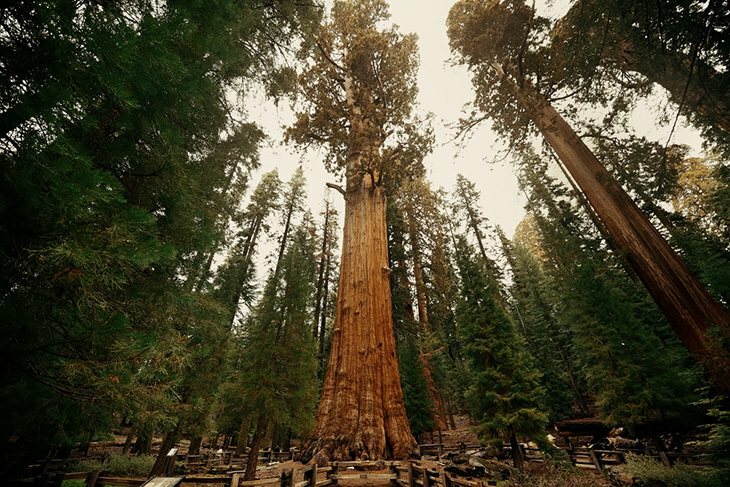 It is the largest (by volume) living tree in the world, standing at 275 feet tall. 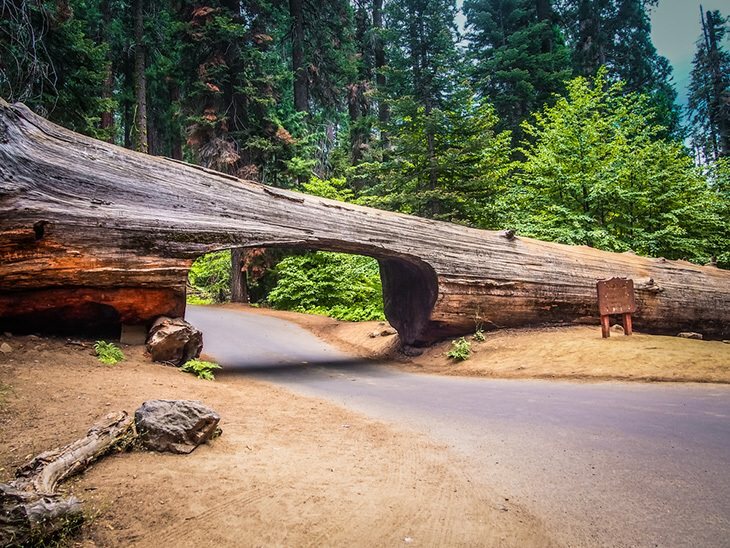 It has a base diameter of 36 feet, and from about sixty feet, the trunk is approximately 17.5 feet in diameter. 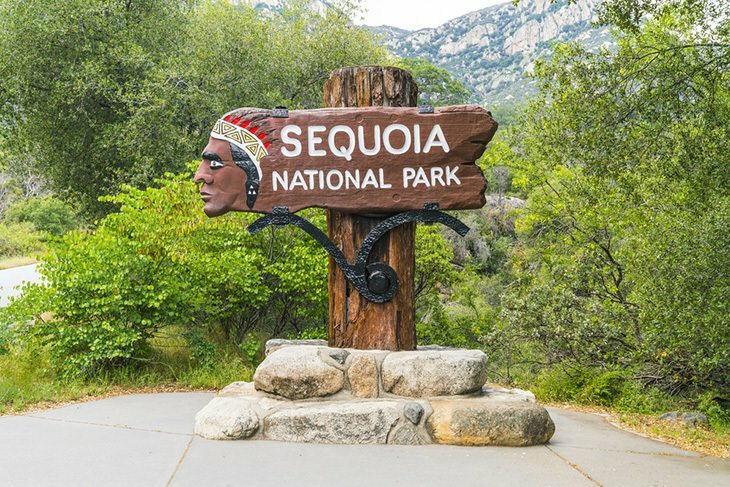 From Buckeye Flat Campground, you will need to drive for about 30 minutes to the General Sherman Tree Trail. The trail is only 0.8 miles long with a little over 150 feet elevation gain. It’s an easy walk on a paved trail; toddlers can do it too. The downside is the heavy traffic. Afterall, who wouldn’t want to see an enormous tree in the world? One of the first things you can see as you enter the park is Moro Rock. The massive granite domes are hard to miss from underneath, but it’s the view from the top that is worth the talk. Moro Rock is 6,725 feet above sea level, but from the trailhead, hikers only hike the last 300 feet. The trail is just 0.4 miles out and back, with about 350 concrete steps to the top of the rock. From the viewpoint, you have an incredible panoramic view of the High Sierra. Halfway through the trail, you’ll already have a magnificent scenery as well. Some parts of the trail are quite narrow, giving space for only one hiker. Along the path and from the top, you can see the parts of Kaweah River. To hike the trail, you will need the National Park Pass. It’s open all year except winter. From Buckeye Flat Campground, you will need to drive about 40 minutes to the trailhead. It’s entirely a long drive, but it’s worth the day trip. Plus, the ride is pretty scenic as well. After your trip to Moro Rock, you can head down to the Crescent Meadow trail. Crescent Meadow gives its visitors a high path, both for the young ones and the once young. The trail showcases a lot of beautiful scenery, a tree you can get into, and a tree turned into a house. Of course, you will be surrounded by towering sequoia trees. In addition to that, there are lush green grass, ferns, and flowers, depending on the season you visit. The trail is a 1.5-mile loop trail with a 150 feet elevation change. It will only take about 45 minutes of hiking, minus the stops to have pictures taken or just enjoying the view. From Buckeye Flat Campground, you will need to drive about 40 minutes to the Crescent Meadow Road. You can do this before or after your hike to Moro Rock. In conclusion, Buckeye Flat Campground is a great camping base for exploring the Sequoia National Park. 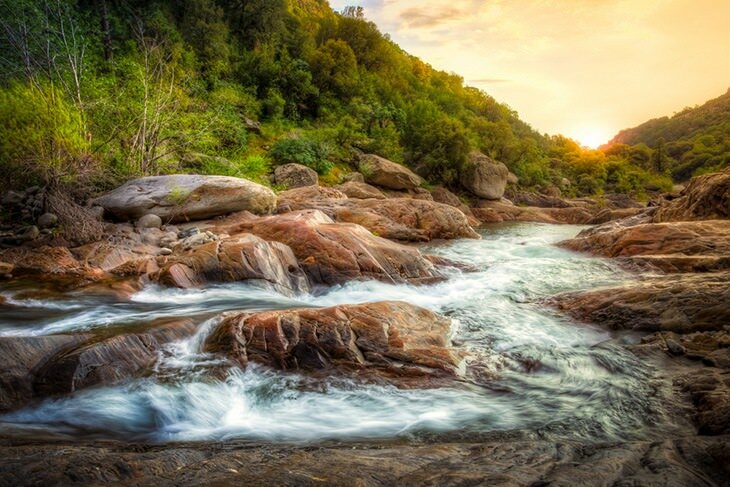 It’s closest attractions are Paradise Creek and the Middle Fork of Kaweah River. They are not the top attractions of the park, but still very worth the visit. The prime attractions, on the other hand, are still very close. They are not over an hour drive away, which is excellent for a day trip. We hope you enjoy your stay at Buckeye Flat Campground! 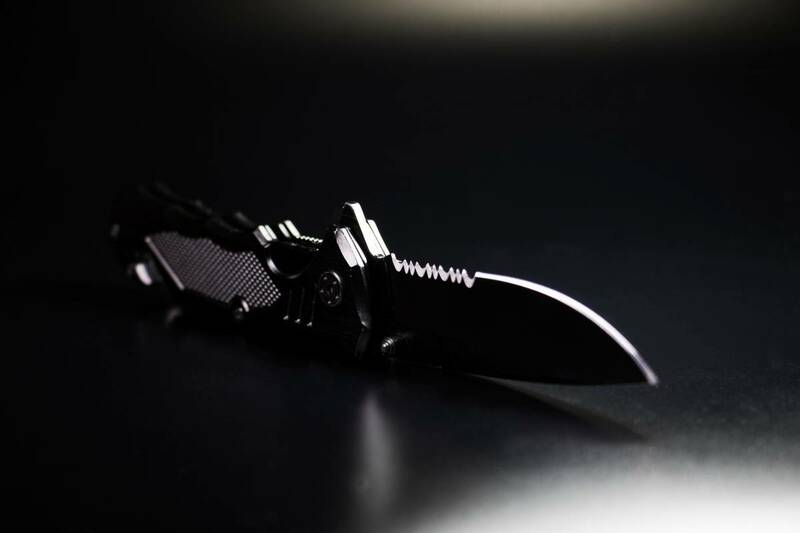 Silverwood Lake Camping: What do I Need To Know?